Is that a car park in your pocket? – Open Data Aha! 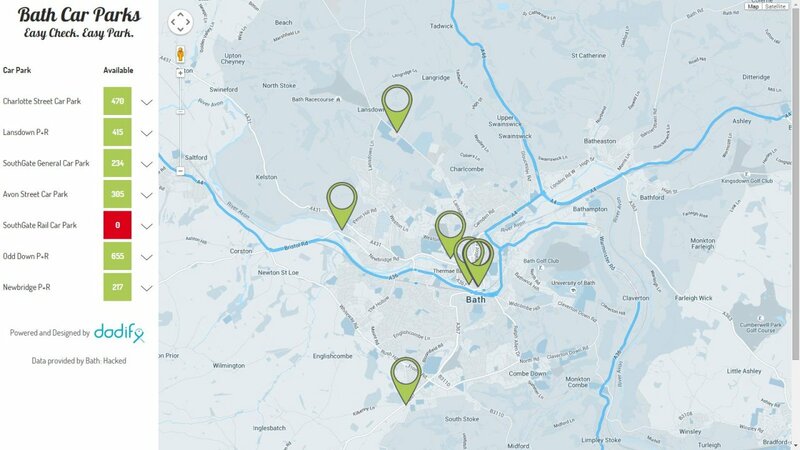 Home › Benefits of open data › Is that a car park in your pocket? My wife has a high bar for things that can genuinely be called useful. Bath: Hacked has finally managed to impress her. I love open data and bang on a lot about it – it’ll change the world, right? Unfortunately the whole topic does attract some windbaggery and it’s important to keep your feet planted with the community. I’m lucky to have my wife Lisa who runs a vibrant hyperlocal website for families in Bath. She just wanted to know what was on the city parking signs. NB. For Londoners reading this, note Bath is a small city with very expensive buses and no tube lines. In Bath you either drive, cycle, walk or cab. Knowing if you can park before setting out is important. All the numbers are on electronic boards around the city, which means they’re digital, which means they’re easy, yes? We first asked for live parking data in January 2013 and were met with polite laughter. The counts don’t all come from one source, there were potential licensing issues and much of the infrastructure sounded like it was held together with gaffer tape. In the meantime Bath: Hacked cracked on; we held several hack events, got ourselves a good data store and also engaged a lot of local developers and council staff, including a chap called Dave Rowe from the IT department. Dave had proven to be a powerhouse, not only being intimately acquainted with council systems but also one of the first to really get his head around our shiny new data store. Paths converged – and Dave had a lightbulb moment. Dave worked magic. He has pulled the latest parking data together and pushed it straight into the city data store, making it freely available to the world. He also went one better and is using the live numbers to build historic parking data. This will build over time and allows us to research car park usage – a very useful tool for city transport planners. Given that Lisa had inspired the original data request, we also made a parking page for Bath Mums’ readers (~15,000 people). 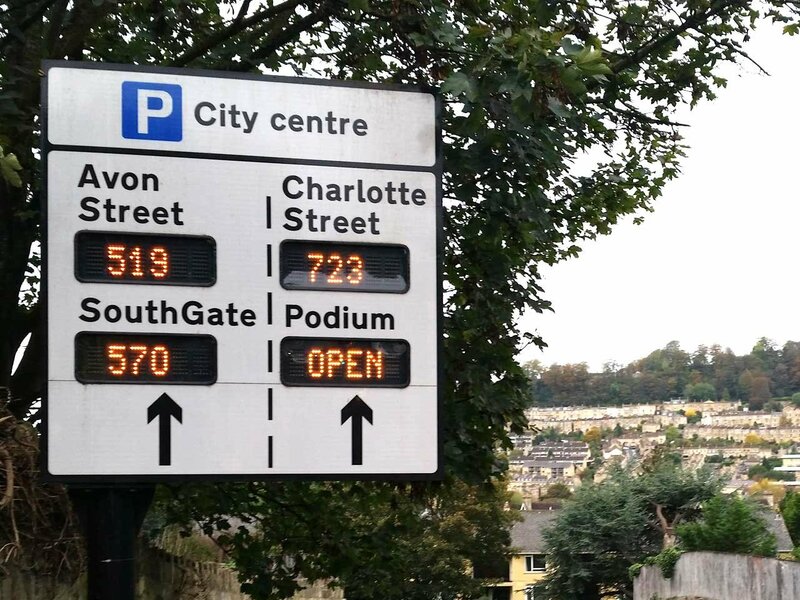 All this coincided with the Bath Christmas Market – a perennial traffic nightmare – so for extra fun we also hooked the data up to Twitter, and tweeted every time the car parks were getting full. Since then page has been used by over 2,500 local people, shared >300 times and anecdotally at least has had some effect on transport behaviour. When people know the car parks are full, they reconsider their decision to drive into the city. I guess car reduction gives poor Andy nothing more to get angry about. Come back, Andy. For the rest of us, welcome to open data. It can be useful, it can help change behaviour and it can also help us plan our cities better for the future. Now we just need a whole lot more of it. Wish us luck.